This website was originally created by Tetsworth Parish Council as a means of distributing and sharing information about the Parish Council and its business. However, it clearly has the potential to be developed as a much richer information hub reflecting and supporting the whole of the Tetsworth community. 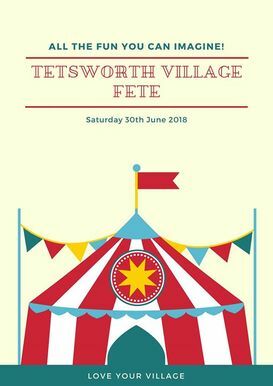 While it may still have some way to go before it fully satisfies this aim, the site will try to bring together news of village organisations and act as a source of information on services available to the Tetsworth community. The Parish Council meets once a month at 7.30pm on the second Monday of the month in Tetsworth Memorial H﻿all. Members of the public are welcome. The Parish Council does not meet in August. ﻿Please CLICK HERE﻿﻿﻿﻿﻿ to see the Agenda for the next meeting. Minutes of previous meetings are also posted on the site. Please contact The Clerk if you would like to find other useful information which is not yet included. 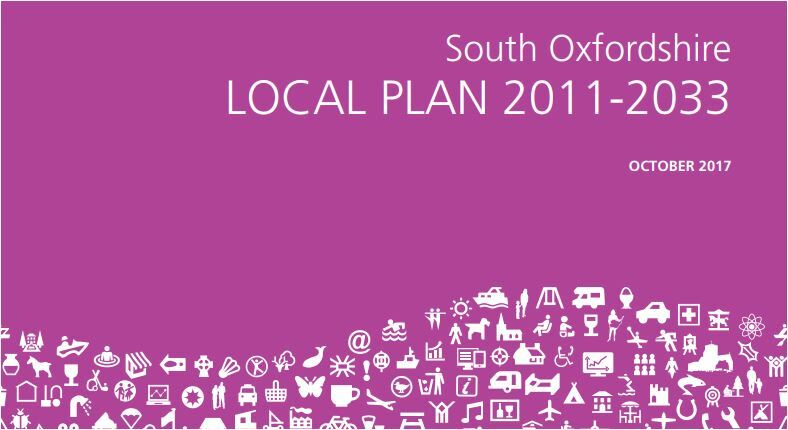 The final draft of our Local Plan, setting out how the district should be shaped until 2033, was published on 11 October. For more information and to view the documents, please click here. Report a road or street problem (such as potholes!) by clicking on the button above. ​You can upload photographs with the report and they will give progress feedback. The new Expressway through rural Oxfordshire, intended to create more development, is to be announced as soon as July by Highways England who intend to decide its route behind closed doors without public consultation or a Public Inquiry. We ask you to write to your MP and Local Councillors to support us in saying this is wrong, and to demand the public consultation and Public Inquiry that is our right before our rural County is changed beyond recognition. The Government has endorsed the National Infrastructure Commissions proposal that there should be a new Expressway (a Motorway in all but name) connecting the M4 South of Oxford to the M11 near Cambridge. The road is linked to the proposal to build another million houses along the route by 2050, 300,000 of which could be inflicted on Oxfordshire, virtually doubling our existing population. That means that wherever you live in the County, the impacts will be transformational. From Milton Keynes to Cambridge, the Expressway would take the form of upgrading existing roads. From the M4 to Milton Keynes, Highways England is looking at two alternatives, although it is keeping details secret. One is to upgrade the existing A34/M40/A421 roads to expressway standard. The other is to build a completely new Expressway leaving the A34 and heading East, somewhere between Didcot and Kennington, before turning towards Thame and Aylesbury. This would be a totally new road through open countryside that is largely Green Belt. We shouldn’t tolerate that such important decisions are taken without full public consultation: we should be told what is in store for us and be seriously involved in the decision as to which land to build major roads across. If the road is imposed on us – and CPRE has ample evidence that new road building creates more traffic problems than it solves – then in principle upgrading existing roads will inevitably be less harmful to the countryside than building an entirely new one across green fields. There is a tried and tested way to find out public opinion in the most open way and that is through a public inquiry. In this way, it is difficult to hide evidence and gives the public its full chance to let its opinion be known and examined. Given the intention to accelerate delivery of the East West railway, linking Oxford and Cambridge, we want to know whether an Expressway is needed and if so which route it should take and further, just what is the justification of such an aspirational idea as the whole Growth Corridor. We are pleased that Oxfordshire County Council has already backed CPRE Oxfordshire’s call for a Public Inquiry but we need to ensure the Secretary of State hears the message from as many people as possible. The dangers are clear: one of the most valued countrysides in England could become in great part a commuter suburb of London. We should not just stand by and watch Highways England ride roughshod over our pleasant land. We therefore ask you to support CPRE Oxfordshire’s call for a Public Inquiry into the Oxford-Cambridge Expressway and Growth Corridor by writing to your local councillors and MP, and directly to the Secretary of State for Transport. As you are aware from previous messages, the Appellant for the travellers' site caused the postponement of the appeal hearing in November this year. We have recently been informed that SODC Planning have now been directed by the Planning Inspectorate to move the travellers' site public inquiry to 14th-17th August 2018. We are disputing the date and want it to be moved into September when the schools are back so that people can attend the hearing. Even if the inquiry date remains in August the appeal hearing will now be 14 months later than originally planned. Once we have confirmation on the appeal date we will let you all know so that you can block time out again.